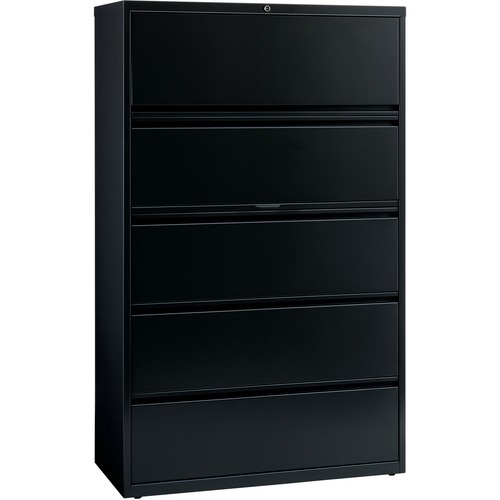 Lateral file features a roll-out binder storage/posting shelf and five drawers with hanging file rails for side-to-side filing in letter-size, legal-size, or A4-size. Each drawer has a magnetic label holder. Design features a core removable lock, dual locking bars, full-width pull, ball-bearing slide suspension, reinforced base, and four adjustable leveling guides. 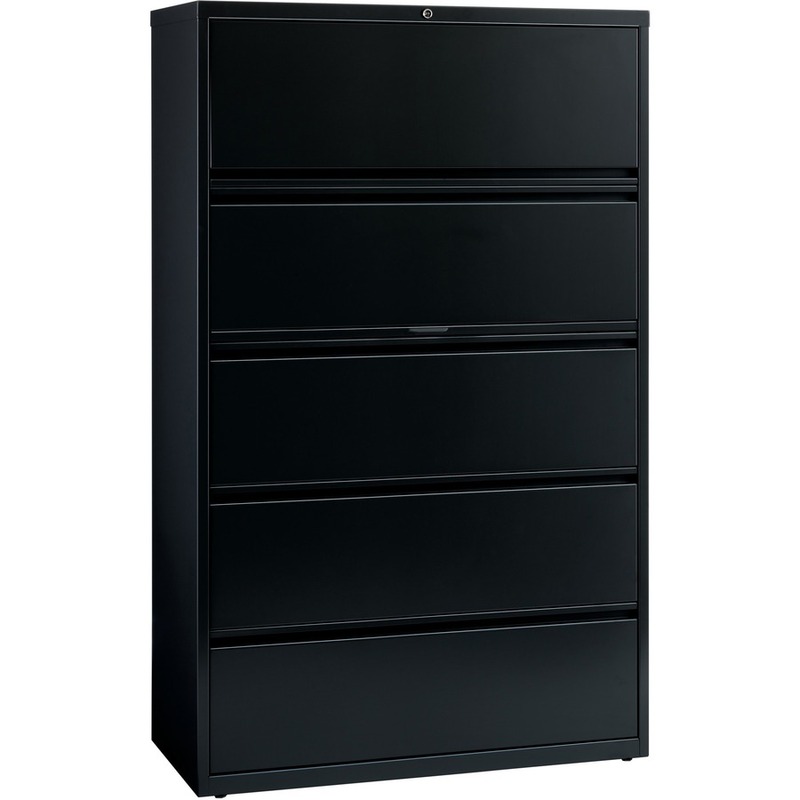 Interlock system prohibits the extension of more than one drawer at a time. Counterweight prevents tipping. Lateral file meets or exceeds applicable ANSI/BIFMA standards.